This recipe is a part of Simply Sugar and Gluten-free’s ‘Slightly Indulgent Tuesday’s’! I used to love wheat thins when I was younger. Many people enjoy dipping them in peanut butter (or almond butter, which I recommend), placing cheese on top or eating them plain. 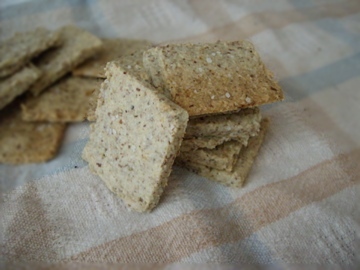 I like healthy crackers plain, without anything on them, so that I can actually taste the cracker and enjoy its full flavor. Since I no longer eat gluten, and no longer support many processed foods, I found ways to recreate the foods of my childhood into nutrient dense, grain-free delectables. Although I don’t find myself “craving” crackers (, cookies or any other types of foods from my childhood, it’s good to have these things around once in a while so that I, and my friends and family, can enjoy them. 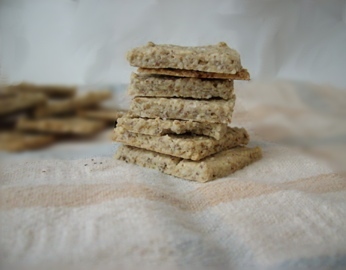 Healthy crackers that are grain-free and gluten-free. Tastes very similar to Wheat thins. Stir in melted shortening and egg white. Transfer dough to a sheet of parchment paper. Place another sheet of parchment paper on top and roll the dough out evenly until it reaches a ⅛" thickness (or however thick or thin as you would like it). Peel off top layer of parchment paper. Score the dough into 1" squares with a sharp knife or pizza cutter. Bake for 12-14 minutes, or until firm and edges golden brown. Feel free to use blanched almond flour in this recipe. I am using almond meal, which is the same consistency as flour but with the almond skins left on to ensure I receive the whole food. 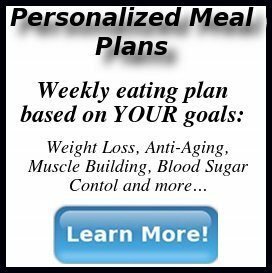 I see almond meal almost like whole wheat flour, where in whole wheat flour the entire grain is left in tact for the full nutritional benefit. 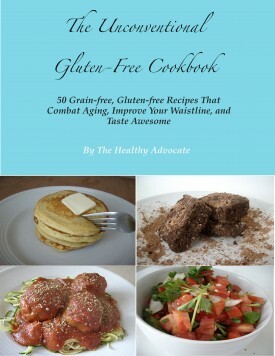 Both almond meals are much healthier than wheat flour, however, and still have a zero glycemic load. You are currently reading "“Wheat” Thins"